The last weekend in July in the coastal town of Garibaldi is for the annual Garibaldi Days weekend celebration. There is a parade on Saturday through the main stretch of town starting at 11AM. The park area will be filled with vendors selling local crafts, wares, and foods. There will be live music playing at the food court area at S. Sixth Street and Garibaldi Avenue. There is always tons of family fun activities, this year is no exception. There will be a fishing tank, gokarts, a Gyro ride, and other shows for the kids near the Lumbermen’s park. There is also a Fireworks display on Saturday night over the harbor. 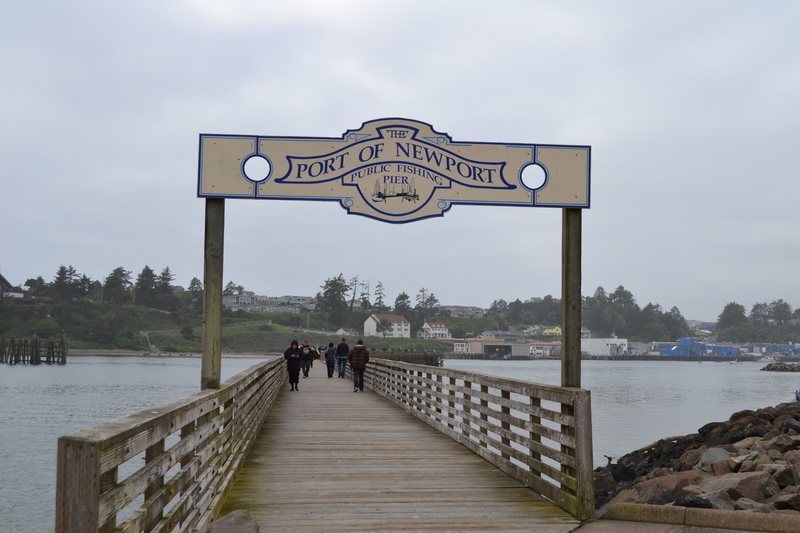 The train rides go back and forth between Garibaldi and the Rockaway Beach wayside, this is a fun way to see the scenic bay as you pass by the Three Graces and the barview jetty. Stop in Rockaway to check out the fun shops or walk on the sand and ride the train back later in the day. 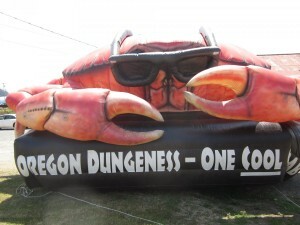 Come enjoy this local festival for a good Oregon coast time. Stop and buy a crab or tuna from some of the local fisherman for a seafood dinner. Fishing and crabbing along the Oregon Coast during the fall season has been a favorite activity for generations. The large runs of Chinook Salmon begin to get moving into the coastal estuaries in August and are in the prime during the months of October and November. Whether you are out fishing in the ocean, inside the bays or up a coastal river the fishing can be fantastic this time of year. One of the other special treats is the Dungenness crab that are available in the Ocean and the bays in really good numbers and quality from September to December. 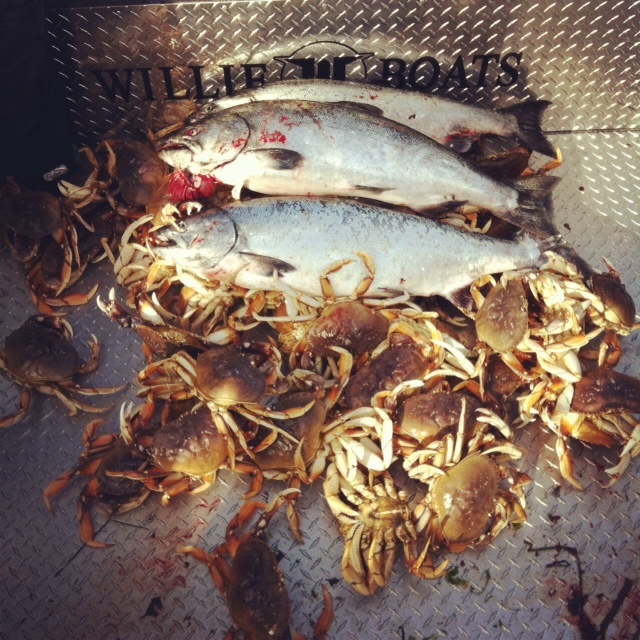 This combination of big salmon and crabs makes the fall season a favorite of most Oregonians that like to engage fishing these sustainable fisheries. Most of the streams and rivers along the coasts have relatively healthy numbers of wild Chinook and coho as well as hatchery supported fish to increase the numbers of available fish for people to catch and keep for dinner. 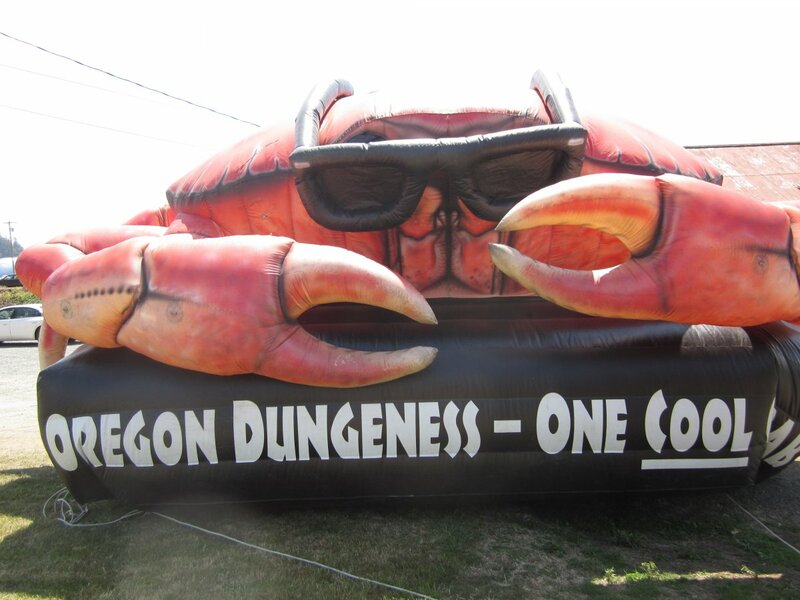 The crab fishery is also very healthy with a large population and it is possible for each person to keep up to 12 of the Male Dungeness Crab per day over the size of 5 and 3/4 inches. 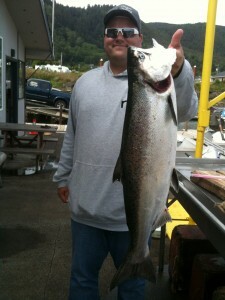 Whether you own your own boat or just fish from shore there are places up and down the Oregon coast to get on the action. If you do not have a boat there are several public access areas on the major rivers that have healthy populations of fish that are catch able as well as some public piers that are easy to crab from. The primary methods of catching fall Chinook include trolling a mooching rig with a cut plug herring, trolling a big spinner or from the bank in the river system using a bobber and egg. All three of these methods will catch salmon. For crabbing it is good to have a few crab traps or crab rings and bait them with either fish carcasses or chicken from the discount section at the local market. Let the traps soak for an hour or longer and pull up a bounty of crabs for a seafood feast. Get out and enjoy the beautiful weather and scenery this fall and catch a salmon or a few crab before the storms and rain of winter are upon us. 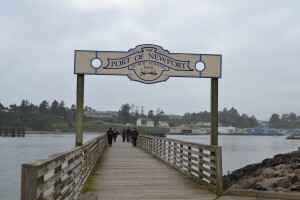 The Jetty Fishery Marina is an RV Park with boat launch facilities right near the mouth of the Nehalem Bay into the Pacific Ocean. 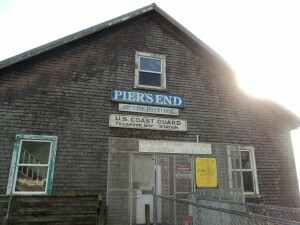 An excellent place to rent a boat and crab pots and go crabbing during the crabbing season. If you do not want to venture out into the bay to crab for yourself you can buy fresh crab right at the Marina and have them boil, clean, and pack it so you can enjoy a crab dinner at home without pulling a single crab pot. Regardless if you do the crabbing or just purchase from the tanks the crab you will get at the Jetty Fishery are full of meat and delicious, make a crab louie salad, fry up crab cakes, or just get a cracker and crab picker and your favorite dipping sauce and enjoy. 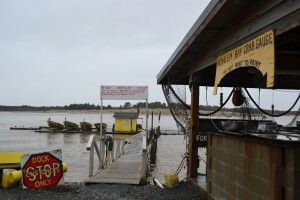 There were also oysters available for purchase when we visited the Jetty Fishery Marina last. If the weather is cooperating then you can stay outside by the outdoor fire pit area with large handmade wooden chairs to sit at around the fire to stay warm if it is cool. The store at the Marina has all of the basics for a day out on the water and a soda and candy if you need something little. They will get you all set to have fun on the water and tell you areas to be watch out and be careful around. If you are looking for a fun place to stop and see some wildlife for younger ones to see then the Jetty Fishery Marina is perfect since there is often many seals that live in the bay and ocean hanging out on the beaches nearby. Of course there will always be the seagulls flying in the wind to keep them busy, but with the location of the marina near the mouth of the pacific ocean there is often interesting wildlife to observer. There are rental cabins and a new luxury bed and breakfast so check out the website at http://www.jettyfishery.com/ to find out more information about the Jett Fishery Marina and RV Park and for contact information to call ahead about making a trip. Stop at the yellow boats by the water north of Rockaway Beach near the Nehalem Jetty.